Our Timberline American Harvest Shingles introduce a modern and contemporary feel to your roofing system without actually “modernizing” your home. These shingles can complement and enhance your home’s exterior color scheme with their subtle but surprisingly deep blends and contrasting colors. As an experienced roofer, we know that the roof is responsible for a significant portion of your home’s curb appeal. While selling your home may not be in your plans right now, installing these new shingles will drastically improve the visual appeal of your property. They, quite simply, make your house look good. These shingles are more than just for visual appeal, though. Our team has long recommended these not because of their appearance alone, but also for their dependable performance. This shingle series boasts the brand’s StainGuard® protection, which protects it from stains and algae. Plus, it has a Class A fire rating from Underwriters Laboratories. Additionally, thanks to their Dura Grip Adhesive seal, you get the peace of mind that these shingles will stay in place. These shingles are strong enough to withstand winds of up to 130 mph, a feat that not many shingles can claim. When you hire Innovative Roofing and Siding to install these revolutionary roofing shingles, you can count on us to do it right the first time. We can also offer you quality gutters and siding installation services. Interested in our HD Timberline shingle series for your home? 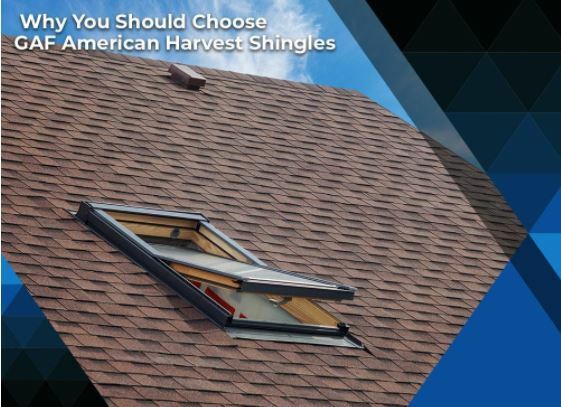 Call us today at (865) 444-6070 to learn how to get a free upgrade on our American Harvest shingles. We serve Knoxville and the surrounding communities in Tennessee.